Since its launch four years ago, Formula E has become a pretty big deal. Automakers are tripping over each other to join this race series for electric cars, and cities that would never previously have considered hosting races are signing up. But one thing has been holding Formula E back: the cars. Formula E’s second-generation race car, appropriately named Gen2, arrives with a crucial upgrade. Unlike its predecessor, the newly revealed Gen2 can run an entire race on a single charge. Formula E teams currently show up to races with two cars for each driver. At about the halfway mark, the drivers switch cars, Pony Express-style. While that adds a bit of drama, the car changes are also a bit of an embarrassment for a race series predicated on the promise of electric-vehicle technology. The Gen2 will make car changes unnecessary. 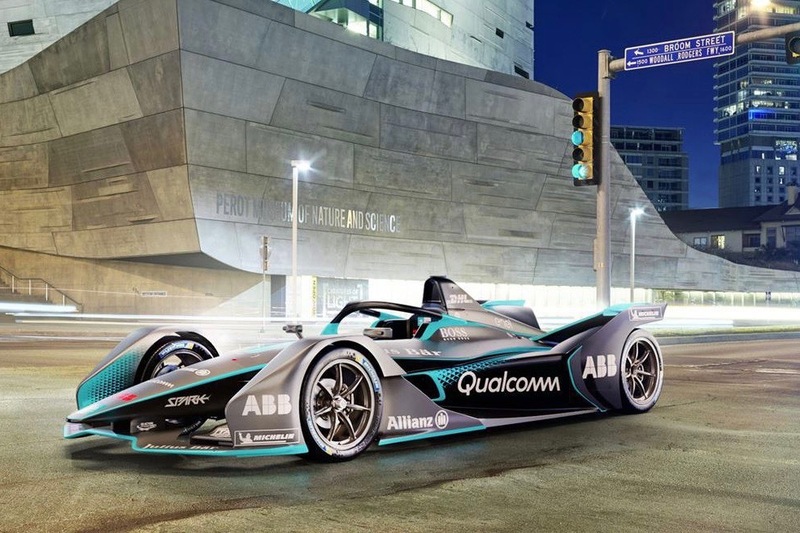 It has double the range of the current car, thanks to a battery pack that’s about twice as big as before, Formula E said. It also features a sleeker new design previewed by last year’s Spark SRT05e concept car. Unlike the cars used in other race series, Formula E cars don’t rely too much on aerodynamics. That means designers were free to draw up a car that simply looked cool. Aesthetics didn’t dictate the entire design, though. The Gen2 features the “halo,” a driver-protection device that will also be used on Formula One cars from now on. Consisting of a ring around the cockpit supported by a central strut, the halo is aimed at protecting the driver’s head from flying debris. But the halo has received significant criticism because of its ungainly appearance, and concerns about impairing driver egress during an emergency. Formula E did not discuss performance, but Motorsport.com predicts the Gen2 will have more power than the previous-generation Formula E car. That extra power could allow the new car to reach a top speed of more than 300 kph (186 mph), reigning Formula E champion Lucas di Grassi told the website. Current Formula E cars max out at around 140 mph, which isn’t very impressive for top-level race cars. As before, every Formula E team will use the same car design, and won’t be allowed to modify the body in any way. The same goes for the battery pack that will make up a large part of the car’s structure, although teams can tweak other parts of the powertrain, including the motor. Formula E bills itself as a testing ground for electric-car tech, but to keep costs down, it’s left teams with relatively few avenues for innovation. The Formula E Gen2 race car will make its public debut at the 2018 Geneva Motor Show on March 6. Its race debut will come later in the year. Formula E plans to use this design for three seasons. Updated: Added estimate of the Gen2 race car’s top speed. Roborace self-driving race car gets an upgrade, but when will it actually race?